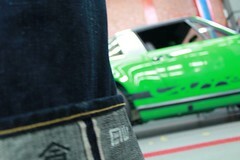 Here is one of my favourite Levi’s 501XX 1966 model wearing to work. Hasn’t been washing since a year ago, so far he has no odour. 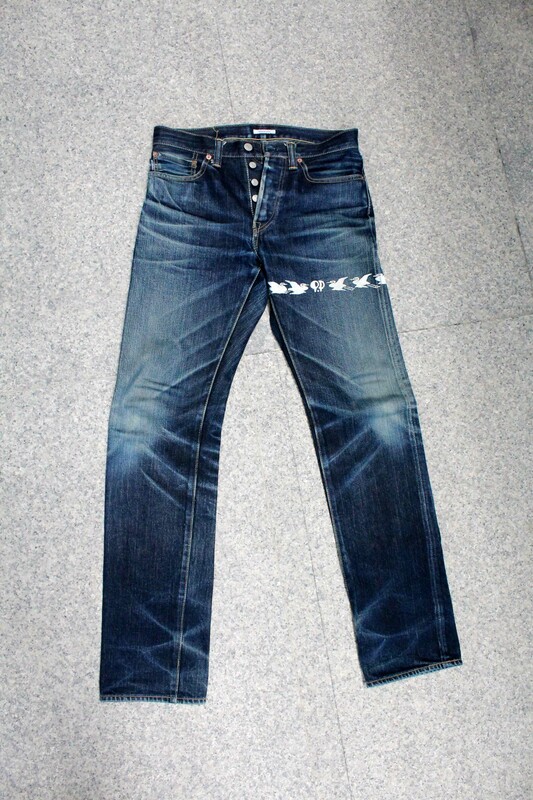 Light weight denim with the tapered silhouette. Worn since 2009. 7 years 10 months old. Size 30/32. 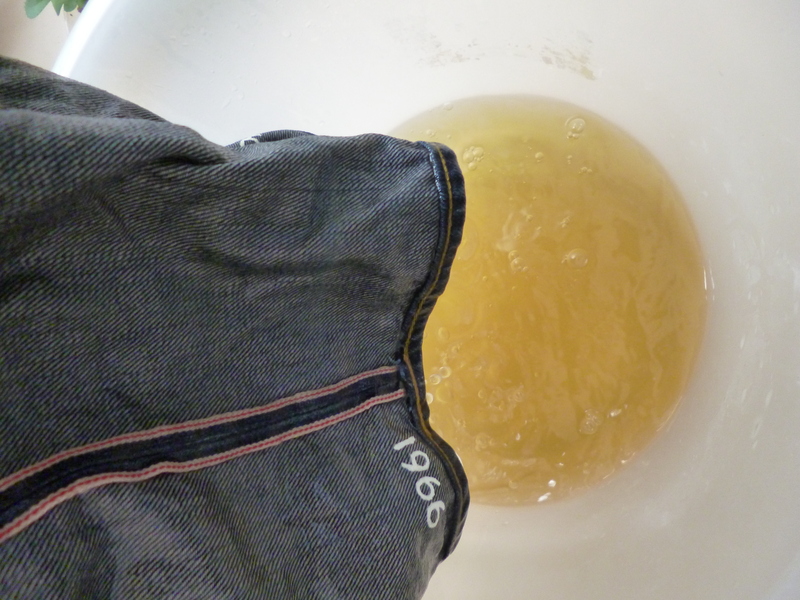 9 washes. Hand-painted NASA “Spacewalk of Gemini”. Not forgetting my beloved trucker jacket from my late father. It’s been a long time since the last wash I have lost count. Must be one year ago. 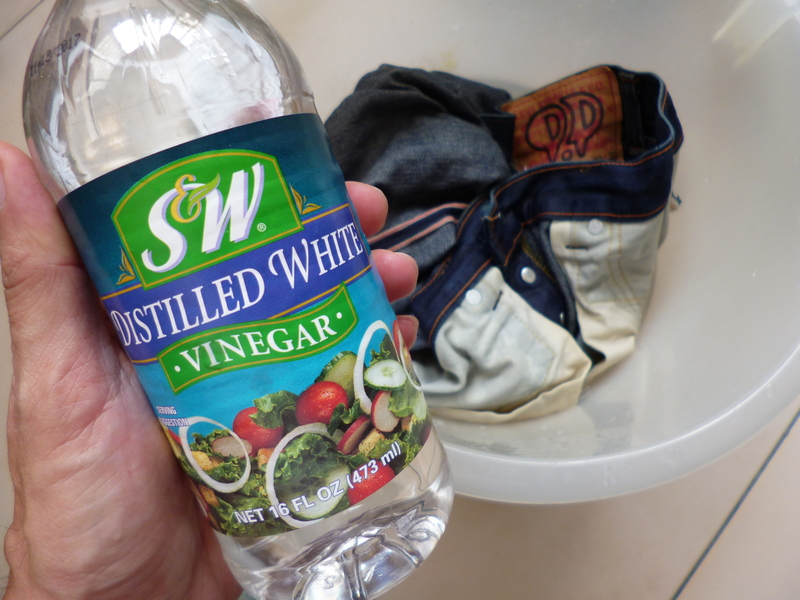 This is S&W white vinegar wash or more of a soak actually. I didn’t scrub or brush it in the vinegar, more of rinsing that’s all. Check the colour of rinse was yellow instead of green. This 1966 model is my favourite 501 for weekend wearing. 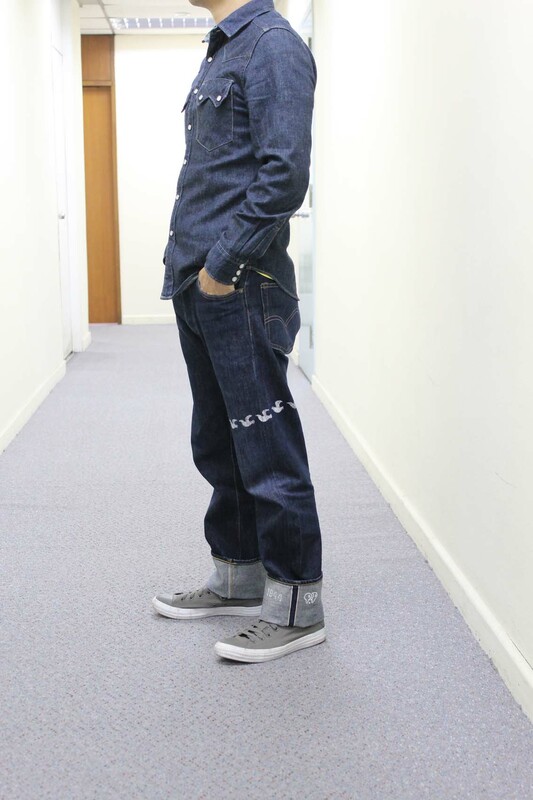 Its slim silhouette is unlike the 1944 or 1955 model; which is less formal, is great for sport. Worn since 2009. 6 years old. 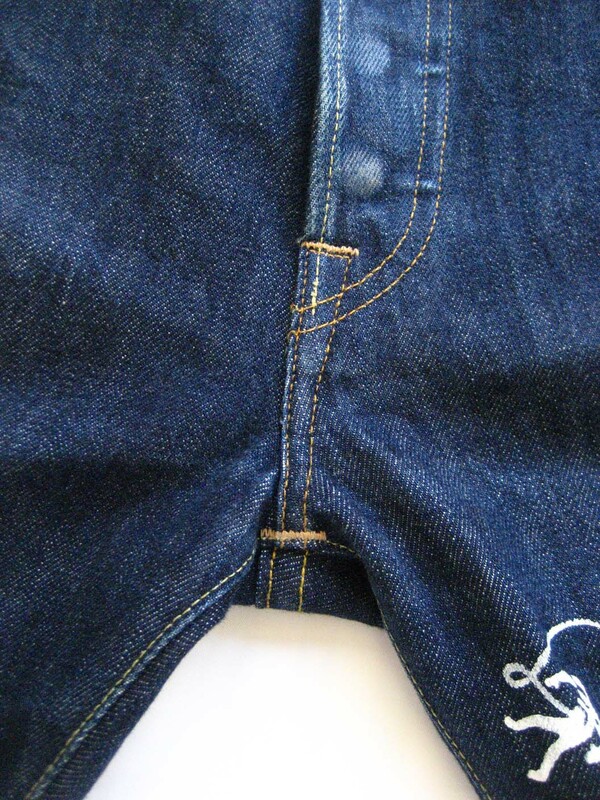 Size 30/32. 9 washes. Inspired by NASA “Spacewalk of Gemini”. Why zinc button fly turned white. Zinc is a fairly active element. It dissolves in both acids and alkalis. An alkali is a chemical with properties opposite those of an acid. Sodium hydroxide (“common lye”) and limewater are examples of alkalis. Zinc does not react with oxygen in dry air. In moist air, however, it reacts to form zinc carbonate. The zinc carbonate forms a thin white crust on the surface which prevents further reaction. Zinc burns in air with a bluish flame. Hope it’s a interesting knowledge for all denimheads. 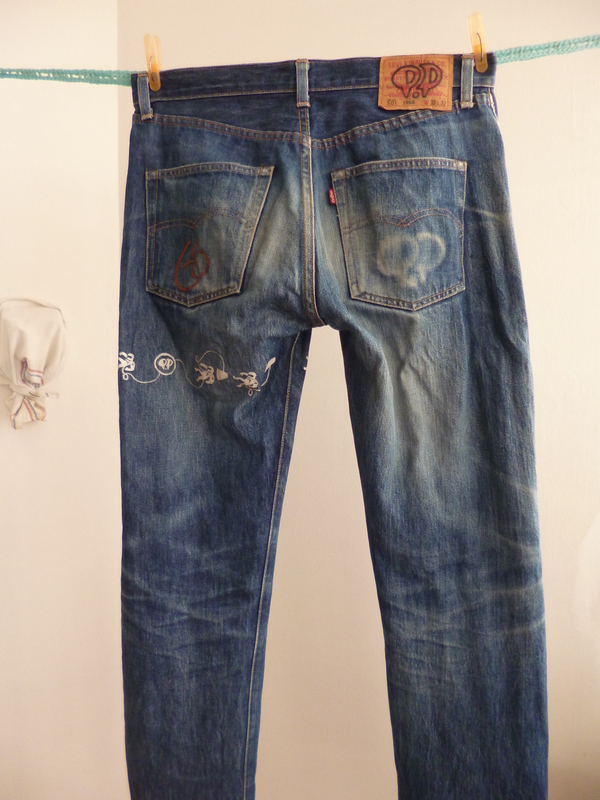 The image above is my Eternal 883 in September 2014. 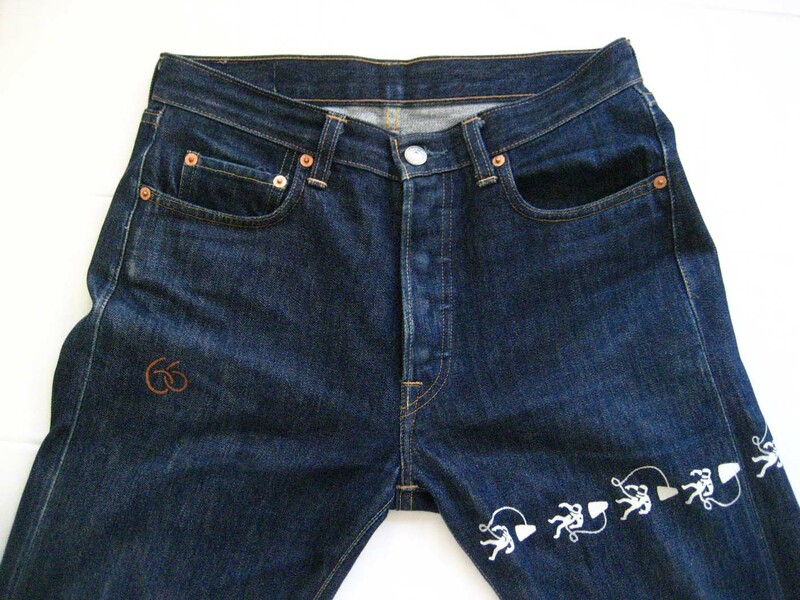 Levi’s vintage look is back! My 1944 501XX and 1955 sawtooth denim shirt. My 501 is 4 years old. 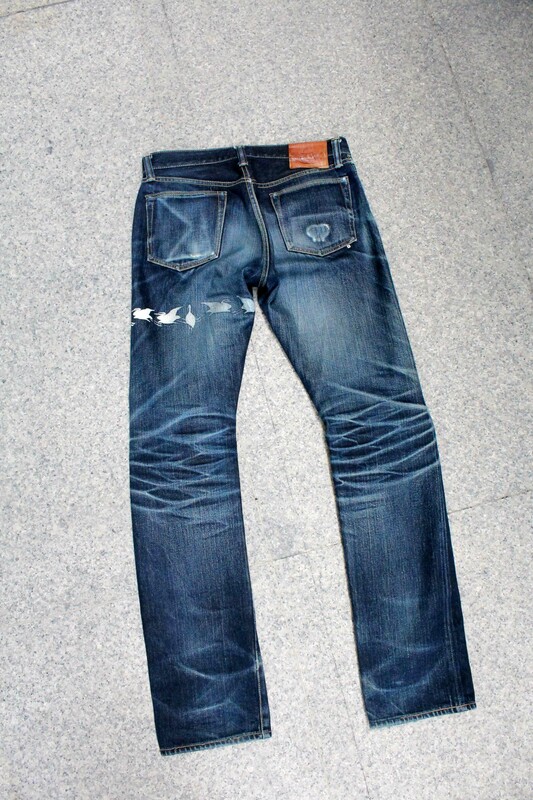 6 washes. 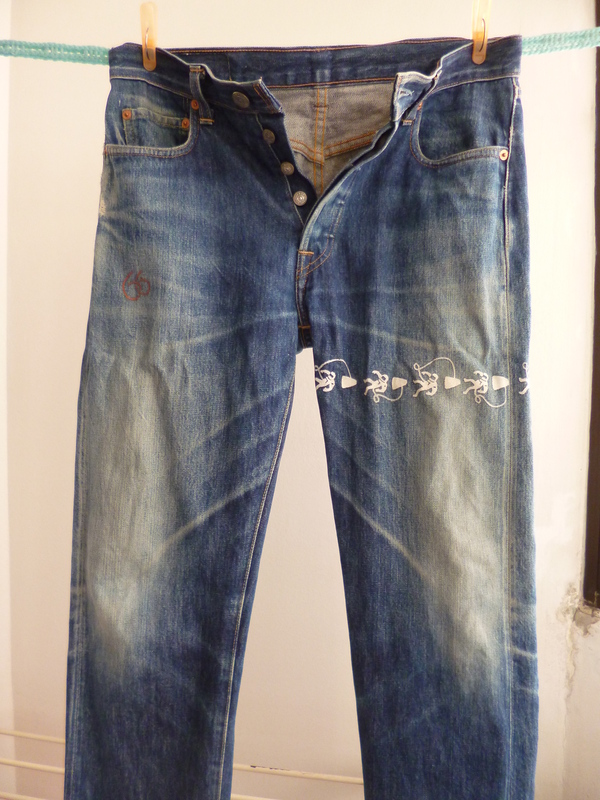 My first pair of hand-painted denim “Dove”. I don’t wear it as often now. My Levi’s sawtooth denim shirt is 2 years old.